A new year – I like taking time to take stock of where I am in life. Have I accomplished previous goals? Do I need to tweak them? Establish new goals? Now is a good time to reflect on how best to reach your students (though I am sure it does not take a new year for you to do that; it is a constant for teachers). An area of interest for me has always been the use of technology in the classroom. How are you using technology with your students? The answer to this question often depends on the availability of technology and often, how comfortable you are with technology. At the substitution level, technology is used for a task that could be done without it. An example would be writing with a word processor instead of on paper or printing out a quiz from the computer and then filling it in). The task remains the same. There is no added benefit to using technology. Tasks are often driven by the teacher. At the modification level, the tasks begin to change with the use of technology. The students are able to do things that would not be possible without technology. An example would be using Google Docs to write. Students could share their document with others and get peer feedback, or they could even collaborate on a project. These artifacts could be shared via a blog so that they have an authentic audience – they are writing not just for the teacher. You can learn more about SAMR in this video. 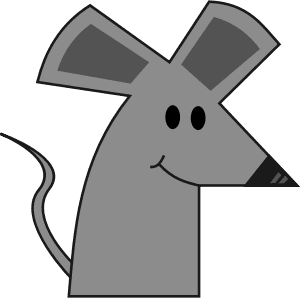 I recently came across another way of assessing technology use which uses the acronym RAT – it is a simpler version of the SAMR model. I learned about it from the Digital Literacy Blog (well worth a read). The adjectives were added by the author of the Digital Literacy Blog. 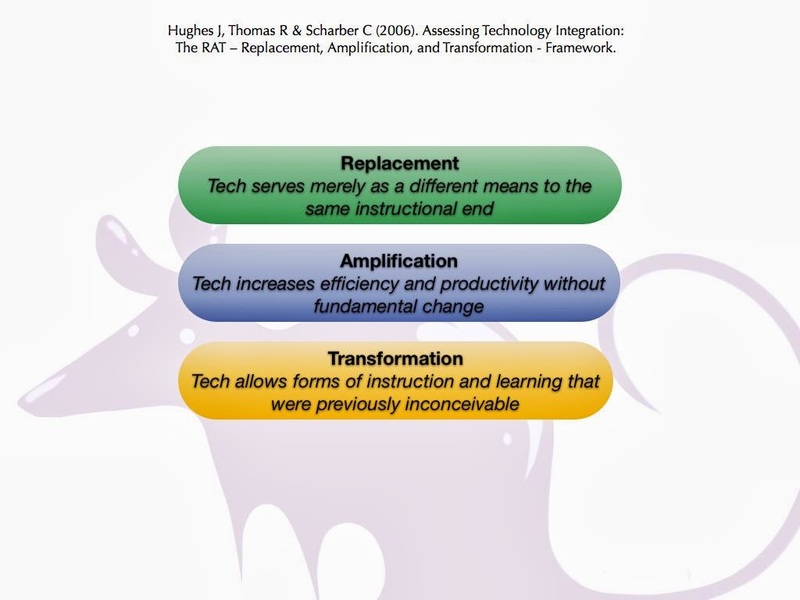 This is a slightly simpler way of looking at how you are integrating technology. While one should aim to plan at least some of your classroom activities to be at the transformative level, there are certainly times when the other levels are useful. A quick class quiz using Google docs may be useful. Not all writing can lead to video productions or other complex artifacts; sometimes a word-processor is just what you need. And, as in anything you do, if you find yourself at mainly the substitution or replacement level, don’t feel you have to take a leap to suddenly planning everything at the transformative level. Baby steps are fine! So here’s to goal-setting and new challenges for 2015. 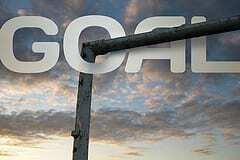 But remember to make them the kind of goals that can actually be realized.